If you are ready to have your new industrial concrete floor coated by a proven contractor, contact Concare for an evaluation. Bare concrete is similar to new concrete as it has been left unprotected. New concrete has had minimal to no traffic while bare concrete can show years of wear with cracks, chips, gouges and potholes. 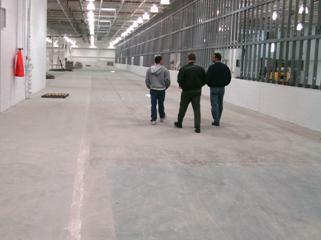 If you are ready to have your industrial bare concrete floor repaired, coated and protected by a reputable contractor, contact Concare for an evaluation.